Questions about the safety of the 737 Max trace back to Oct. 29, when an Indonesian Lion Air flight plunged into the Java Sea. At the time, Boeing issued a terse statement extending “our heartfelt sympathies to the families” of the 189 victims. It said initial investigations showed the downed 737 Max had faulty data from a sensor. After that business as usual resumed, and orders kept pouring in for the 737 Max, the fastest-selling jet in the company’s history. 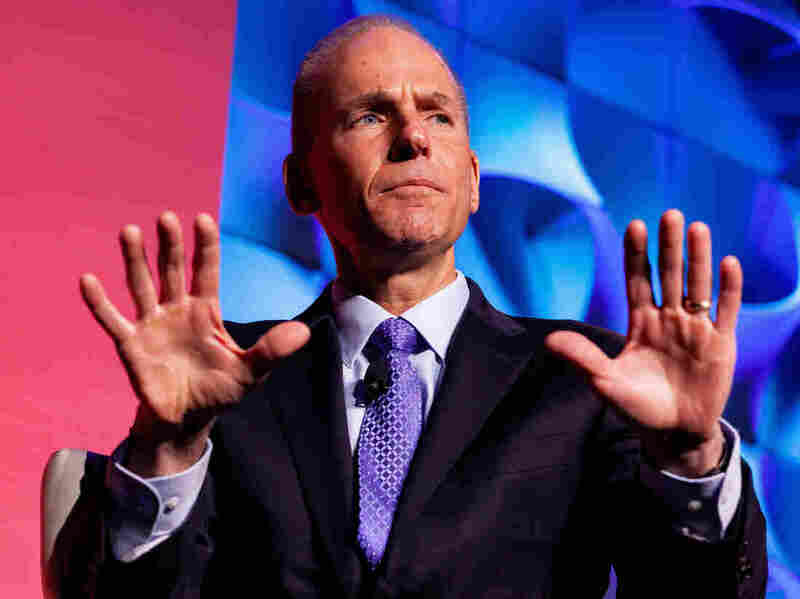 But in the U.S., Boeing’s CEO announced that the company was developing an update to its MCAS software, and that the FAA did not require any further action. And Muilenburg even called the White House to say there was no data to support grounding the planes. “Airplane accident investigations are a tragic, horrific and sad undertaking, but they must be underpinned by fact and data,” said Boeing spokesman Gordon Johndroe. Richard Levick, CEO of the Washington-based communications firm Levick, says Boeing’s response did not go over well. “They weren’t personal. They weren’t empathetic. They were speaking like engineers and they weren’t very visible,” he says.